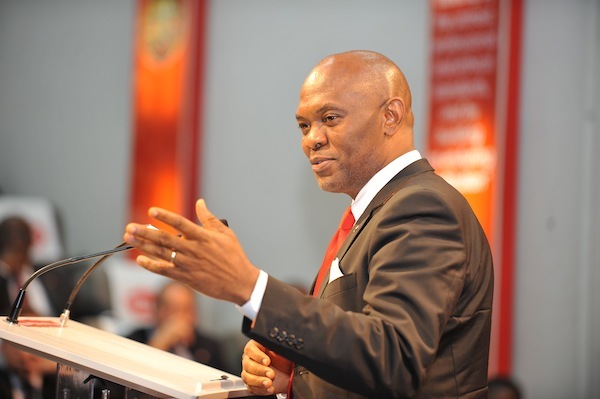 Tony O. Elumelu just launched the Elumelu Nigeria Empowerment Fund to revitalise distressed communities across Nigeria. Seeded and managed by the Tony Elumelu foundation, the Elumelu Nigeria empowerment fund, a non-profit organization, will transform communities that have been ravaged by natural disasters, hazards and conflicts, into thriving and economically sustainable communities. The Fund will create opportunities and empower people in affected communities across Nigeria enabling them to rebuild their lives and businesses whilst instilling a sense of economic empowerment for the long-term. The Elumelu Nigeria Empowerment Fund will also focus on encouraging the development of entrepreneurship in these affected regions through access to start-up funding, capacity building, and mentorship. The fund will also support a range of initiatives in these communities, including projects that will tackle environmental issues, restore damaged infrastructure as well as social welfare projects. By helping to restore these communities the fund will create the platform for a thriving entrepreneurial environment. ”Entrepreneurs create jobs, opportunity, and wealth at the local level and in doing so, they play a vital role in reducing poverty and addressing a range of social issues that cause conflict and instability,” Elumelu continued.